To the Japanese, manners are extremely important. This week at Shofuso, we are topping off camp with learning about more delicious Japanese food. However, we can’t learn about food without learning about how to properly eat it at the table! When visiting Japan, or any other country that is not your own, it is vital to learn about how to assimilate into their society and be respectful. Before we get into the actual table etiquette, 9 times out of 10, we are confident that you will make a lot of wonderful Japanese friends who will invite you over to their home for dinner. So we’d like to cover some slipper etiquette while visiting them. 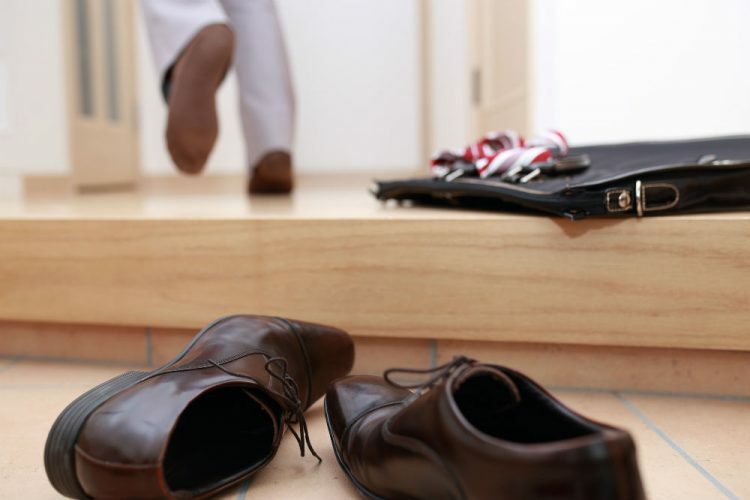 Before you enter a Japanese home there is usually a place such as a ‘genkan’, to place your outside shoes. The house guest would usually have a pair of slippers for you to put on your feet before entering the home. If the room has tatami mats, you should take your slippers off as the mats are meant to be walked on with bare feet or with socks. Once you take off your slippers and step on the tatami mat, you’ll understand why! There are also another set of slippers for you to use when you are in the bathroom. You are expected to take off your house slippers, leave them outside of the bathroom, put on your bathroom slippers, and do your business! But remember! You have to take off your bathroom slippers before you come out and return to your house slippers. Coming out with your bathroom slippers on would be embarrassing, and also pretty gross, so make sure you remember that! Now that we’re finished talking about slippers, we can talk about behaving at the table. This can all be complex at first for a non-Japanese. However, with practice, it will come naturally! After receiving your meal – we know you’re starving – but don’t eat before everyone else receives their meal. (Unless invited to do so otherwise) Once everyone has, you would say, ‘itadakimasu’. ‘Itadakimasu’ means “I gratefully receive (the food)”, in other words, it means “Thank you for the food”. After you finish your meal, you are to say ‘gochisosama deshita’, which means “Thank you for the feast”. This phrase shows gratitude to the cook and to the ingredients served to you. A few other things that you should not do at the table is a burp, blow your nose, or chew loudly. When bringing food to your mouth, carry your bowl up with your chopsticks. Do not try to hold your hand under your chopsticks instead. Eventually, you and your Japanese coworkers or friends will crack open a few cold brews. We’ve got you covered on this! When receiving your drinks, don’t drink anything until you perform the ‘kanpai!’ which is “Cheers!” in Japanese. Keep your eyes peeled at the table, if any of your tablemates are running low on a drink, pour some more for them unless they request otherwise. You can not fill your own drink, however, someone must do that for you (don’t worry you won’t wait long at all). While drinking and eating it’s all about courtesy! The Japanese etiquettes don’t stop here! Educate yourself! Some etiquette rules may be obsolete once you get in Japan, however, it’s better safe than sorry to be aware of as many of them as you can.